Little Rock is the largest city in Arkansas, and is a major center for real estate activity. And with nearly 725,000 people in the Little Rock metropolitan area, the city is especially popular for residential real estate. 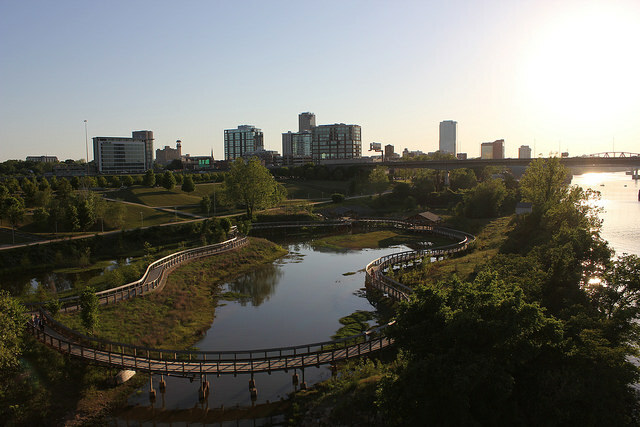 And there’s no surprise why: there’s a lot to love about Little Rock. The city was named one of Kiplinger’s Great Places to Live, a Forbes Least Toxic City, and the top choice for Best Towns by Outside magazine. Whether you’re interested in buying, selling, or investing in this growing city, it’s essential that you have the help of a great Realtor that can back you up. A good real estate professional can help you better understand neighborhoods, point out problems, negotiate on your behalf, and provide market guidance that’s difficult, if not impossible, to find on your own. We’ve found 15 of Little Rock’s best real estate agents: professionals with years of experience, a long list of happy clients, and the professionalism you’ll need to make the most of your real estate transaction. Note that although we’ve listed Little Rock’s leading Realtors without ranking order, we still want to know who you think is the best. That’s why we’ve included a poll at the end of this article: please use it to vote for the Little Rock agent that you think is the best! 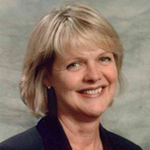 Janet Jones is the proud owner and president of The Janet Jones Company. Her company holds the honor of holding the largest market share of residential real estate in the city of Little Rock. 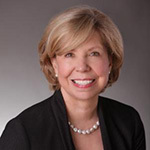 Jones is very active in local leadership, having formerly served as the first female chairman of the board of the Greater Little Rock Chamber of Commerce, as well as Chairman of the Federal Reserve Board of the Little Rock Branch and a number of community boards, including the YMCA and Big Brothers/Big Sisters of Central Arkansas. 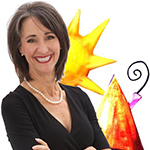 Jones attributes her success to a love of helping people and following the golden rule. 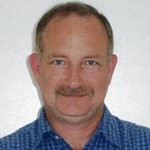 Scott Deaton brings more than a decade of experience in real estate to sellers and buyers in central Arkansas, along with a background in IT and more than 30 years as a small business owner. He’s sensitive to the needs of families, and understands that often, a home is the largest investment they will make. Deaton works hard to provide excellent service, and is proud to help his sellers ecure 4% higher sales prices with 41% less time on the market compared to local industry averages — and his buyers average more than 15,600 in seller concessions savings. He has received the Arkansas Realtors Association Award for Excellence every year since 2004, and has served on the board of directors for both the Arkansas Realtors Association and the Little Rock Realtors Association. Owner of Carle Properties, Denise Carle and her team offer comprehensive real estate services to home buyers and sellers. Their specialty is flat fee, full service listings that typically save sellers thousands of dollars in commission fees. Carle is a current board member of the Little Rock Realtors Association. Her clients love her kind and professional approach, as well as her patience, honesty, and consistency. Founded in 1986, Lynda Bowers & Associates is one of the most successful real estate agencies in Little Rock, and has grown to include not just the original two agents, but a team of 11 experienced real estate professionals. At the helm of this real estate company, Bowers is proud to share her real estate expertise, helping clients understand every step of buying and selling. She’s careful to always work in her clients’ best interest, and knows what it takes to find your dream home or get a great offer. Clients trust her as a knowledgeable real estate professional who is committed to treating every client like they’re her only one. 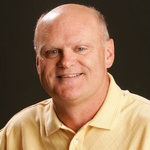 Stan McLellan is the principal broker of McLellan & Associates, and brings more than 35 years of experience in central Arkansas sales to the table. In fact, he’s sold more than 500 homes, and is consistently recognized as a top producer by the Arkansas Realtors Association, reaching the Award of Excellence Diamond Level. As an experienced professional, McLellan enjoys developing relationships with customers for life, and a high percentage of his business comes from past clients who have come back to use his services over and over again. Principal broker and co owner of the Blackwood Team Realtors, Steven Blackwood has more than 20 years of real estate and mortgage finance experience. He specializes in default servicing, finding options for home owners affected by the housing crisis, and using his understanding and resources in mortgage finance to find optimal solutions for each party involved. 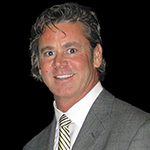 His team was named the number one residential real estate sales team in 2009 and 2010. The Multiple Listing Service named the team the number one residential real estate broker in Arkansas in 2011 as well. 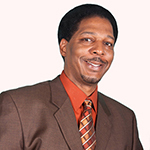 Blackwood is known for going above and beyond to help his clients, especially those in need of refinance or mortgage adjustments. Owner of Michele Phillips and Company, Michele Phillips has worked in real estate since 2003 as a Realtor, executive broker, and principal broker. She finds great joy in helping her clients take their next step, whther it’s buying or selling a home, and she is enthusiastic to do whatever it takes to make real estate goals possible. Phillips’ clients say that she makes the real estate process easy, and has a knack for finding the perfect house. Mitsy Tharp has lived in central Arkansas for more than 30 years, and she is excited to offer real estate services to buyers and sellers in an area she believes in. Tharp loves to find families’ dream homes, and is an excellent negotiator with the ability to help you get the best deal. She’s up to date on what it takes to market homes for sale as well, using online promotions with professional photos, syndication, and support every step of the way from staging to following up with everyone who visits your home. Her clients know her as friendly, knowledgeable, and persistent. Julann Carney is a third generation real estate investor, so she doesn’t just help clients buy, sell, and invest, she actively invests in property herself as well. 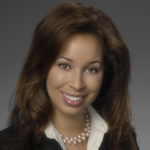 She places great value on cultivating relationships with her clients, and puts her extensive property management and construction management experience to work in real estate transactions, especially for investors. Carney has been recognized for her excellent work with awards of excellence from the North Pulaski Board of Realtors and the Arkansas Realtors Association every year since 2009. Clients say that Carney is highly knowledgeable and a valuable advisor for everything real estate, from purchases to repairs. 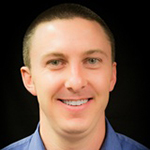 Jeff Merritt works hard with a goal to make the home buying and selling processes as stress free as possible, and he has the skills necessary to make it happen. Merritt is recognized for his excellence in real estate, earning the Silver Level Award of Achievement from the Arkansas Realtors Association, and is noted for being among the top 7% of realtors by sales volume. His clients are frequently impressed by his knowledge of real estate, frequent availability, and excellent negotiating skills that result in above average real estate transactions. 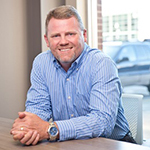 A Little Rock native with more than nine years of experience in real estate, Charlie Clifton brings a wealth of local knowledge to every client he serves. He has an excellent understanding of neighborhoods, current transactions, and resources for buyers and sellers, including inspection, mortgage, and insurance. Clifton prides himself on taking a customer driven approach and works hard to provide his clients with exceptional service. His clients say that he’s honest, professional, knowledgeable, and has a knack for identifying construction issues and repair costs. Nicole Miller has been an Arkansas resident for more than 21 years, and has a background as a financial advisor, builder, and property investor that makes her service as a Realtor unique and practically unrivaled in knowledge. Miller specializes in flat fee MLS listings and buyer’s commission rebates. Her clients enjoy that she makes the process of buying or selling easy with prompt, honest, and straightforward service. Daniel Geraldson takes an analytical approach to real estate as the number cruncher and marketing expert at Geraldson Realty. He puts his finance degree to work, as well as his strengths in online marketing to help sellers maximize their sales price. Geraldson takes great pride in completing excellent research, competitive intelligence, and effective listing exposure to sell homes. His clients note that he is very detail oriented, is great at explaining each step, and is patient and professional throughout the real estate process. LaTashia Rose works to make the complicated process of real estate sales more simple for her clients, working to make every transaction go smoothly. She has a commitment to customer service, and makes it a point to show her clients that she cares and can be trusted to help them with their important decisions — and she especially enjoys putting her experience as a real estate professional to work. Rose’s clients say that she is knowledgeable, and can do a great job helping you find your dream home. 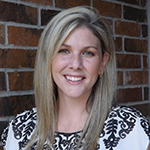 Principal broker and Realtor with Ausum Realty, Tracey Rancifer has more than 10 years of experience in real estate, and prides herself on successfully guiding clients through what can be a stressful transaction while making it enjoyable. Rancifer is proud to offer superior client service and negotiating skills to her clients, and as an Arkansas native, she brings a lifetime of personal knowledge of the area as well. Clients of Rancifer say that she has excellent advice and professional service, and they appreciate her straightforward advice and strong ability to negotiate.